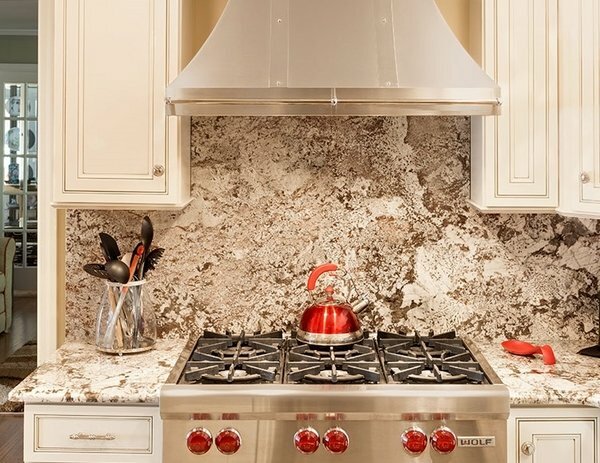 Bianco Antico granite is a natural stone quarried in Brazil. 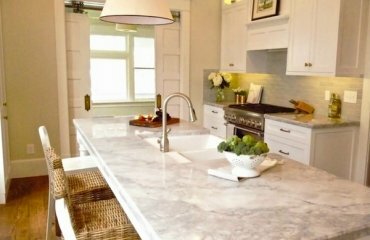 Also known as Royal Silk, Diamond White, Pearl White, Arctic Ice, etc., this fabulous stone consists of Quartz, Feldspar, silica, and many other raw crystals. 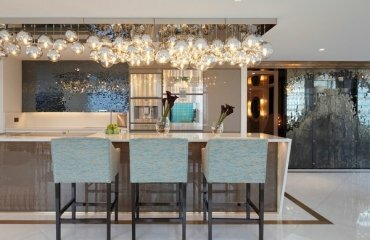 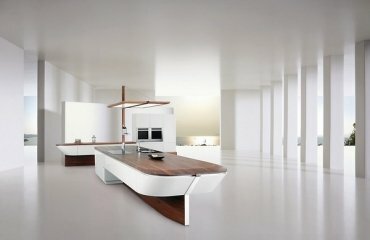 It has a modern and sleek look in kitchen interiors. 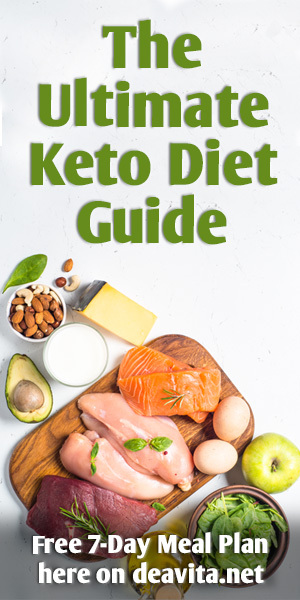 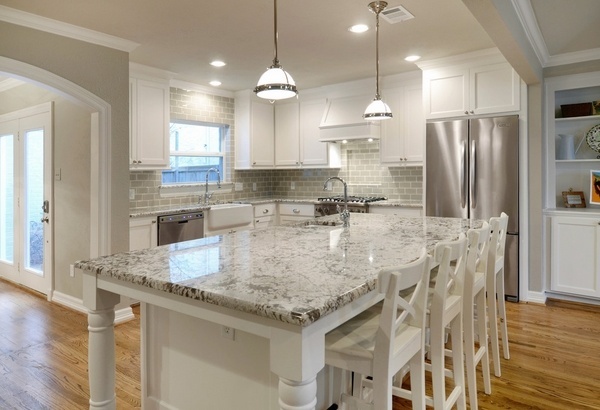 Bianco antico granite countertops have a white and gray appearance if you look at them from a distance with noticeable traces of burgundy red and brown when looked closer. 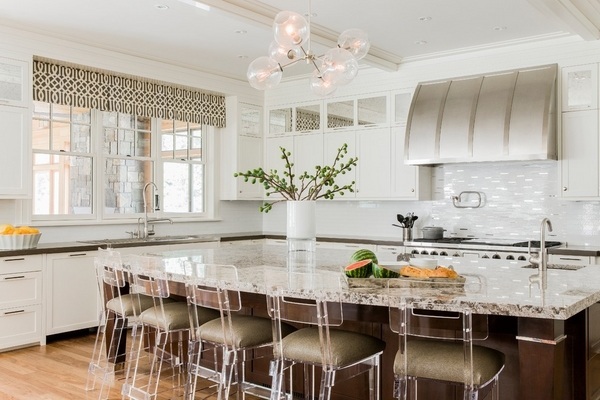 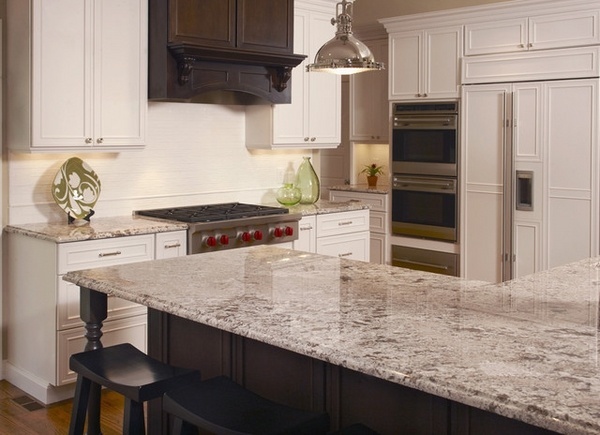 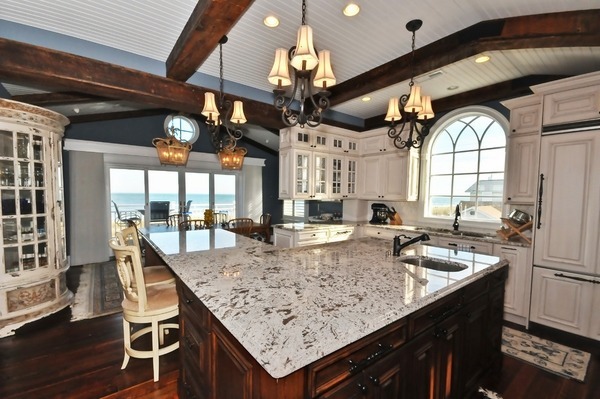 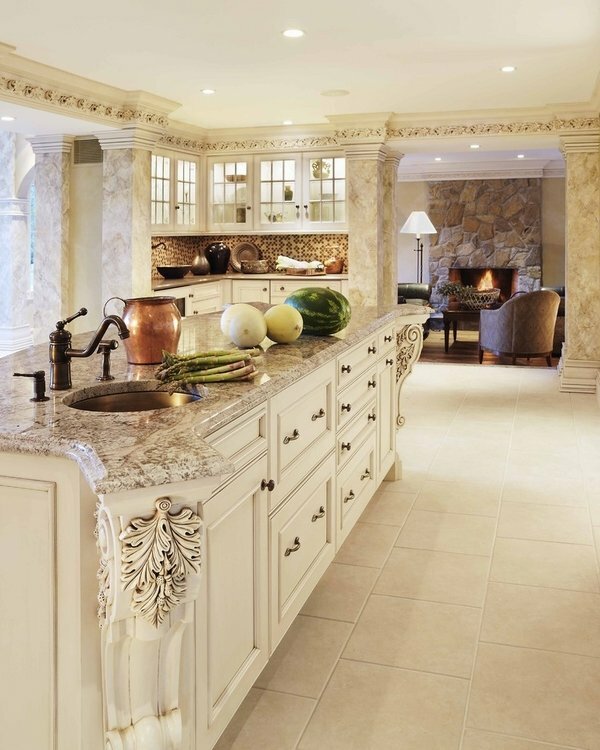 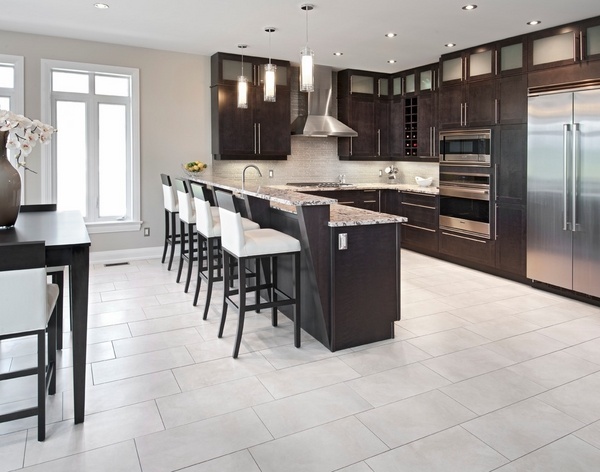 Bianco antico granite countertops are a beautiful and eye-catching element in any kitchen. 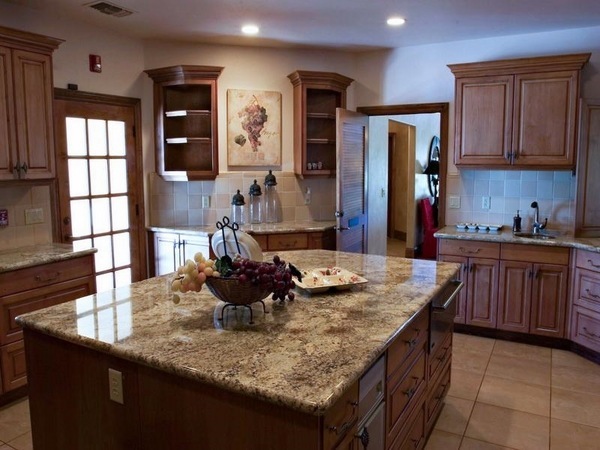 What cabinets are suitable for a Bianco antico granite countertop? 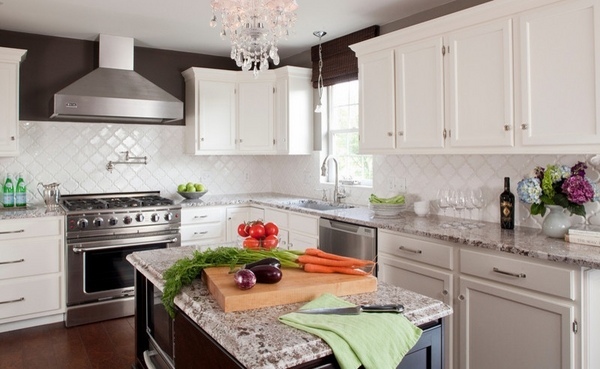 If you combine white cabinets with Bianco antico granite your kitchen would look bright and light. 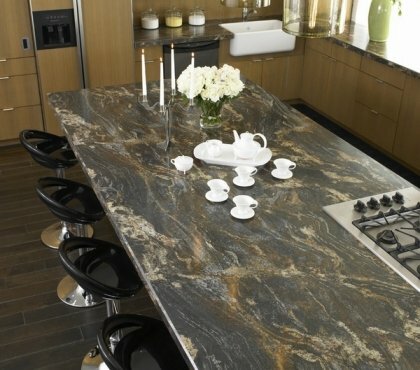 The darker hues of the stone will be a nice contrast to the light colors and will add depth and texture to the interior. 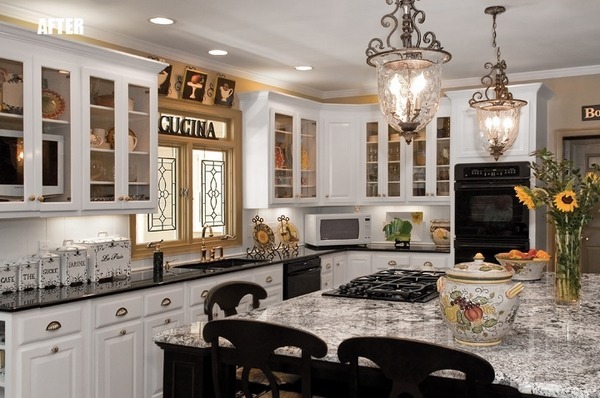 The overall appearance of the kitchen will impress with elegance and style no matter whether it is a contemporary or a traditional design. 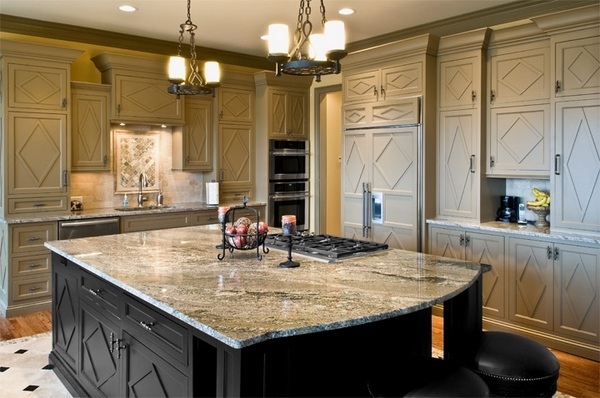 Bianco antico granite combined with natural wood cabinets will look great as the brown accents of the stone will be enhanced by the color of the wood. 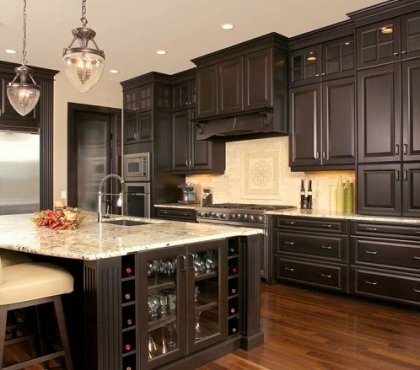 A completely different effect will be created when dark or black kitchen cabinets are combined with bianco antico granite countertops. 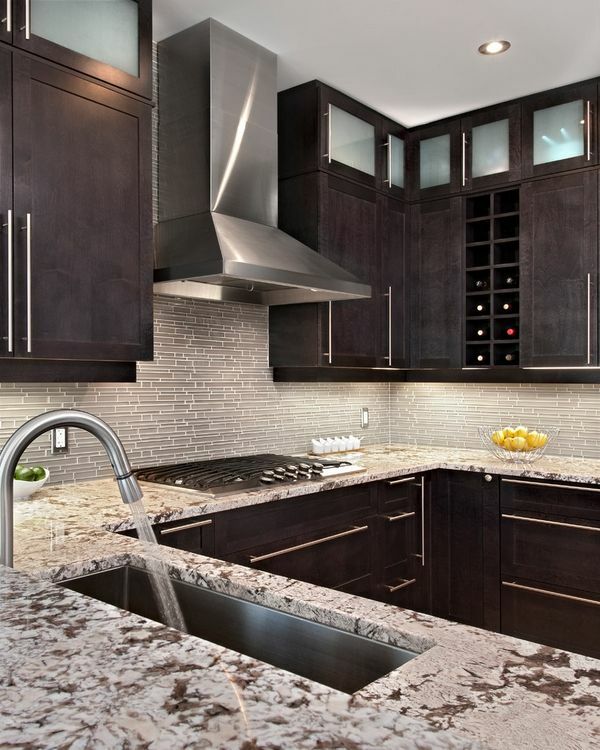 A strong and captivating contrast between the cabinets and the granite is created and the kitchen looks sleek and modern. 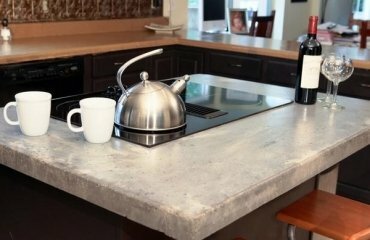 Bianco antico granite is an exciting choice for a stone countertop giving your kitchen a special designer touch and unique appearance. 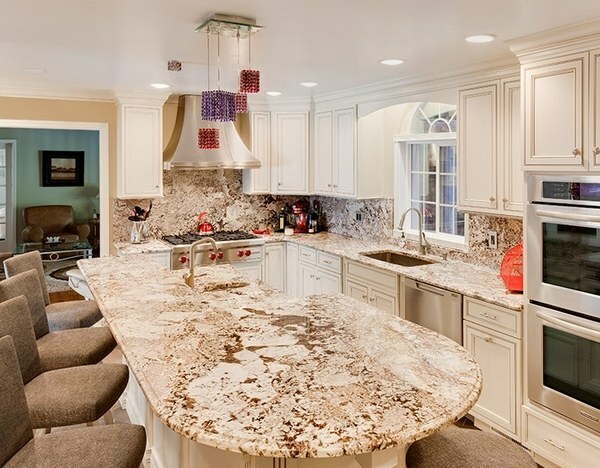 Bianco antico granite countertops look absolutely luxurious and one of the great advantages of this material is that it does not change much at different lighting conditions. 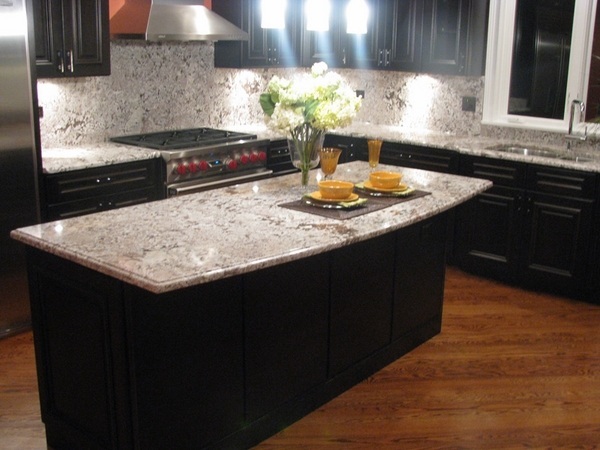 With or without natural light Bianco antico granite will have the same spectacular look. 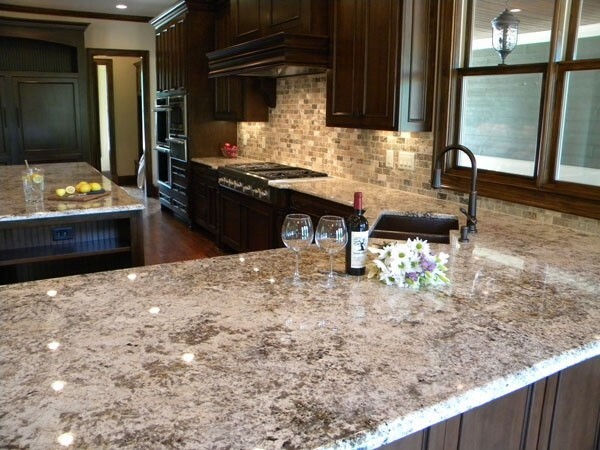 The stone is very durable, stain, heat and scratch resistant. 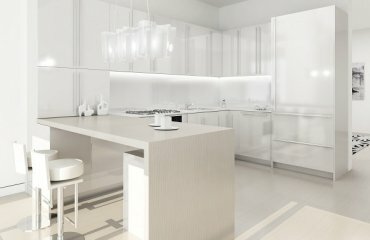 The light color successfully hides fingerprints, dust, crumbs and the daily maintenance does not require more than a wipe with a damp cloth.